We received an encouraging letter the other day from someone who wanted us know what was going on in her church. The letter was so encouraging, we decided to break it down into two parts. Our Pastor was so impressed with the philosophy of “I Am Second” that he wanted to engage our congregation and challenge them during the season of Lent. As we were doing a Bible Study called “Walk Across The Room,” we decided to do the “I Am Second” challenge as a follow-up with the wristbands and “I Am” New Testament Bibles. The wristbands became the conversation starter that many of our “timid” congregational members needed. They simply used the front page of the Bible as a study guide, discussing the “I Am” scriptures within their families and then committing those verses to part of the conversations they had with other people. During Lent, members were encouraged to do daily scripture reading, daily accountability, and daily sharing with others (particularly non-believers). Both the wristband and the Bible encouraged each of the people who used them to share their faith. These tools also seemed to spark confidence that each person could share their belief as they were sharing a conversation about being a Second! What a cool way to get the whole church involved in outreach! What are some things you’re doing for Lent? When people ask you about it, are you able to share Jesus with them? 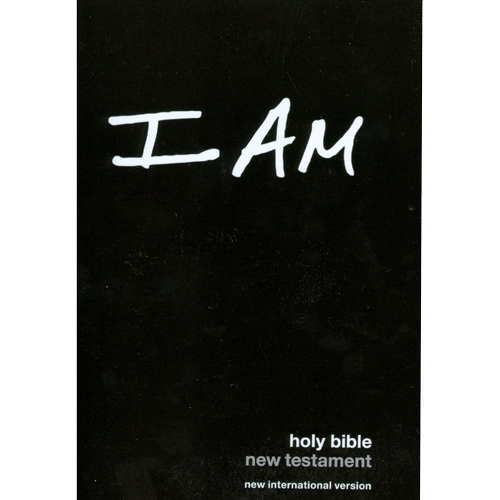 *If you’re interested in getting some of the “I Am” New Testaments, you can find them at www.iamsecondstore.com under Promotional Items.